David CARLTON [Parents] was born on 10 May 1757 in , Craven, North Carolina. He died on 14 Sep 1845 in , Duplin, North Carolina. David married UNKNOWN. UNKNOWN. UNKNOWN married David CARLTON. F i Catherine CARLTON was born in 1781. Carl Pembroke ROGERS "Sr" [Parents] was born on 13 Oct 1885 in Jones Prairie, Milam, Texas. He died on 14 May 1952 in Corpus Christi, Nueces, Texas. He was buried on 17 May 1952 in Corpus Christi, Nueces, Texas or Hico, Texas. Carl married Ethel Carpenter BLACK in 1911. Ethel Carpenter BLACK was born on 29 Mar 1882 in , Naples, Illinois. She died in May 1963 in Alpine, Texas. Ethel married Carl Pembroke ROGERS "Sr" in 1911. M i Carl Pembrooke ROGERS "II" was born on 17 Feb 1912. He died on 24 Jan 1992. Jesse Armstead ROGERS was born on 19 Sep 1913 in , Yoakum, Texas. He died on 21 Nov 1962 in New Canaan, Connecticut. Paul Black ROGERS was born in 1916. He died in 1986. William WARREN was born in 1787 in Ballycanew, Wexford, Ireland. William married Anne HOLLINGSWORTH. Anne HOLLINGSWORTH [Parents] was born on 9 Aug 1796 in Ballinakill, Ballycanew, County Wexford, Ireland. She was christened in 1797 in Ballycanew, Wesford, Ireland. She died on 2 Mar 1822. She was buried in Old Ballycanew Churchyard. Anne married William WARREN. YOUNGBLOOD. 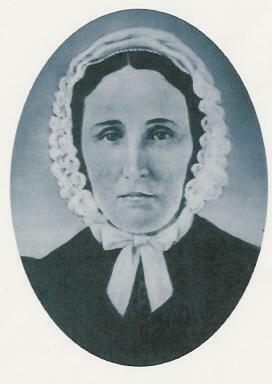 YOUNGBLOOD married Maggie Elizabeth SHARP. Maggie Elizabeth SHARP [Parents] was born about 1921. Maggie married YOUNGBLOOD. Alfred Madison MASSENGALE [Parents] was born on 20 Oct 1814 in , Coosa, Alabama. He died on 31 Jul 1874 in , Milam, Texas. He was buried in Little River Baptist Church Cemetery, Jones Prairie, Milam, Texas. Alfred married Emily R. MC KINNEY on 6 Dec 1840 in , Coosa, Alabama. Emily R. MC KINNEY [Parents] was born on 25 Oct 1814 in , , Alabama. She died on 6 Aug 1861 in , Milam, Texas. She was buried in Little River Baptist Church Cemetery, Milam, Texas. Emily married Alfred Madison MASSENGALE on 6 Dec 1840 in , Coosa, Alabama. Harris McKinney MASSENGALE was born on 27 Sep 1841 in , , Alabama. He died on 21 May 1883 in , Milam, Texas. He was buried in May 1883 in Little River Baptist Church Cemetery, Jones Prairie, Milam, Texas. M ii John Cobb MASSENGALE was born on 10 Apr 1843. He died on 26 Feb 1886. M iii William Stokely MASSENGALE was born on 10 Apr 1843. He died on 24 Jan 1904. M iv James Columbus MASSENGALE was born on 1 Mar 1845. He died on 15 May 1912. M v Alfred Leroy MASSENGALE was born on 3 Dec 1846. He died on 8 Sep 1902. F vi Joanna MASSENGALE was born on 3 Dec 1848. She died on 26 Jul 1888. Thomas Love MASSENGALE was born on 3 Dec 1850 in , , Alabama. He died on 23 Feb 1875 in , Milam, Texas. 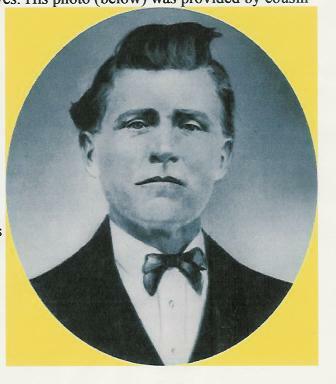 He was buried in Feb 1875 in Little River Baptist Church Cemetery, Jones Prairie, Milam, Texas. F viii Emma M. MASSENGALE was born on 23 Oct 1852. She died on 7 Oct 1898. Ellen MASSENGALE was born in 1854/1856 in , , Texas. She died in 1854/1856 in Died Young. She was buried in Near Maysfield, Milam, Texas. 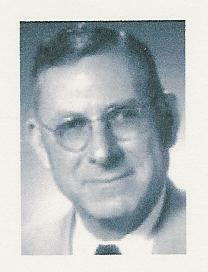 Judge Harrell Henry RICE [Parents] was born on 18 Nov 1901 in Jones Prairie, Milam, Texas. He died on 10 Aug 1970 in Brownwood, Brown, Texas. Harrell married Sunshine ADAMS. Sunshine ADAMS. Sunshine married Judge Harrell Henry RICE. Judge Harrell Henry RICE [Parents] was born on 18 Nov 1901 in Jones Prairie, Milam, Texas. He died on 10 Aug 1970 in Brownwood, Brown, Texas. Harrell married Ora Lee CURRIN. Ora Lee CURRIN died on 23 Aug 1958. Ora married Judge Harrell Henry RICE. Judge Harrell Henry RICE [Parents] was born on 18 Nov 1901 in Jones Prairie, Milam, Texas. He died on 10 Aug 1970 in Brownwood, Brown, Texas. Harrell married Barbara. Barbara. Barbara married Judge Harrell Henry RICE. 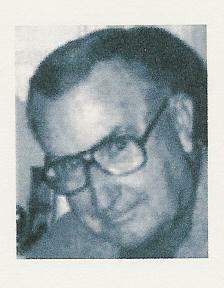 Irving Grady RICE [Parents] was born on 23 Jan 1905 in Jones Prairie, Milam, Texas. He died in 1993 in Brownwood, Brown, Texas. Irving married Bernice Oma WALKER on 21 Sep 1925 in Brownwood, Brown, Texas. 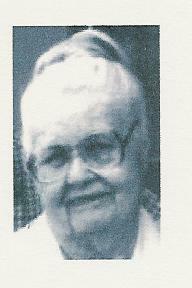 Bernice Oma WALKER [Parents] was born on 11 Aug 1903 in Wolfe City, Hunt, Texas. She died in Aug 1994 in Brownwood, Brown, Texas. Bernice married Irving Grady RICE on 21 Sep 1925 in Brownwood, Brown, Texas. M i Harrell Benge RICE was born on 7 Mar 1927. He died on 5 Jun 2013. F ii Jacquelyn RICE was born about 1929. Harvey Davis WALKER was born in 1879. Harvey married Elizabeth "Bettie" BENGE. Elizabeth "Bettie" BENGE was born on 6 Mar 1883 in , Hunt, Texas. She died on 4 May 1952 in Brownwood, Brown, Texas. Elizabeth married Harvey Davis WALKER. F i Bernice Oma WALKER was born on 11 Aug 1903. She died in Aug 1994.